The most sophisticated and advanced software solutions for the sheet metal industry. Met-IQ helps you collect data and draw bent parts by touch-based freehand input or using a mouse. Make changes and see results immediately in an interactive 2D/3D view on-screen! 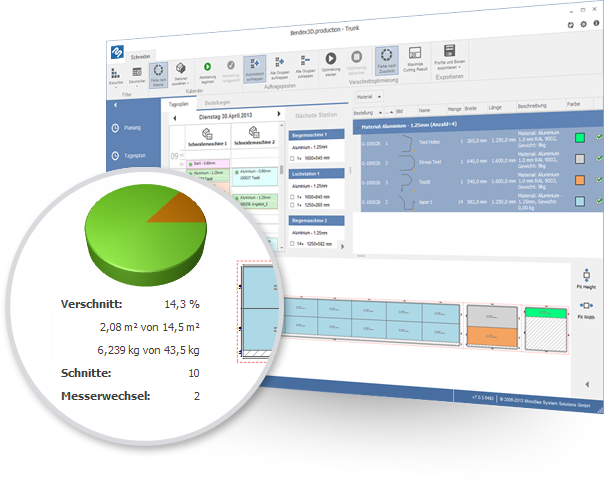 No matter where you are, at the office or at a construction site: Met-IQ helps you visualize all the important parts you may need for complete project or site. 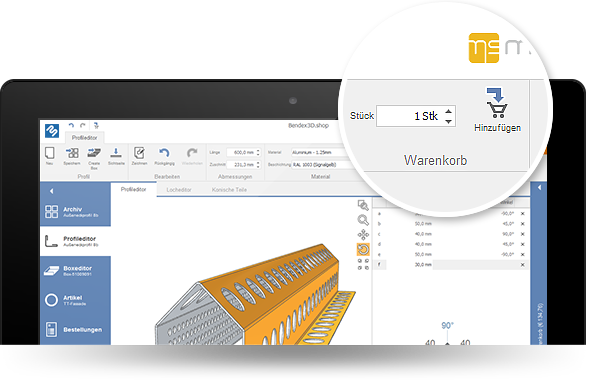 The Met-IQ integrated online/offline mode will allow you to visualize bent parts any time, even if you do not have Internet connection. Input is optimized for mobile devices such as tablet computers here! Met-IQ is an innovative service tool you can offer to your customers and partners, allowing them to prepare offers and place orders 24/7, all year round. A service no customer wants to do without! Met-IQ produces high-quality clear drawings at all times. No matter whether they are needed for the offer stage, for order confirmation, job preparation or production, Met-IQ will generate drawings and illustrations, including material-related corrections, automatically. 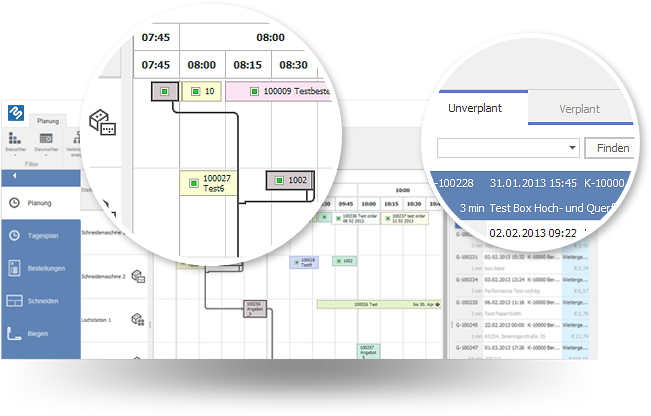 Met-IQ helps you manage your manufacturing potential and production capacity use to the full at all times. Met-IQ will automatically calculate production times for each job. The intuitive overview is the perfect tool for scheduling jobs with perfect timing. Met-IQ collects all production times of machines and stores them with the related job orders. Current order status and storage locations are available any time. Met-IQ offers comprehensive materials management for all materials customary in the market, including selectable coatings and additional properties. The minimum waste/optimized cutting function, which is fully integrated and may at request also be designed as a cross-order function, you can identify the material required within seconds and obtain clear information about the materials consumption in the enterprise. Unequivocal part identification is made possible by info graphics and the consistent use of order data in Met-IQ. 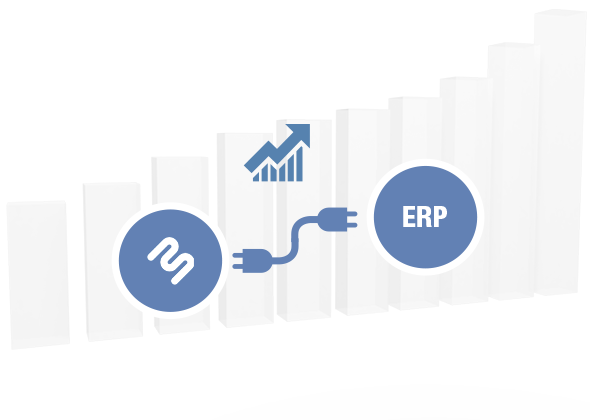 The generation of all data required for production is fully automatic in Met-IQ. 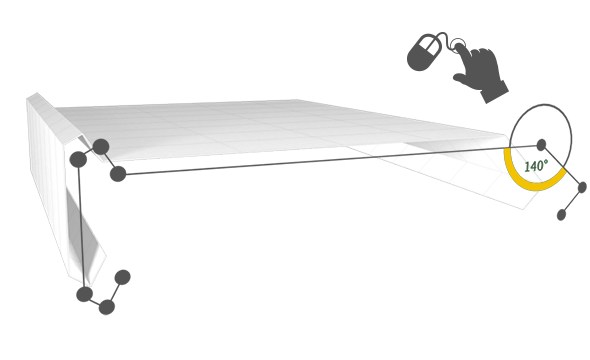 This includes 2D and 3D views and profile drawings, automatically generated bending programs and CAD data for automated further processing. Shop drawings can be printed in any format or transferred to other systems in a digitalized form. 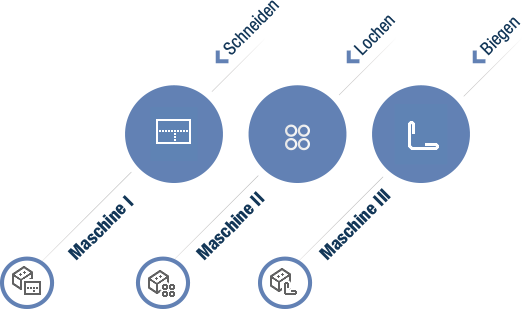 For automatic data transfer Met-IQ can be linked up with a variety of machines. 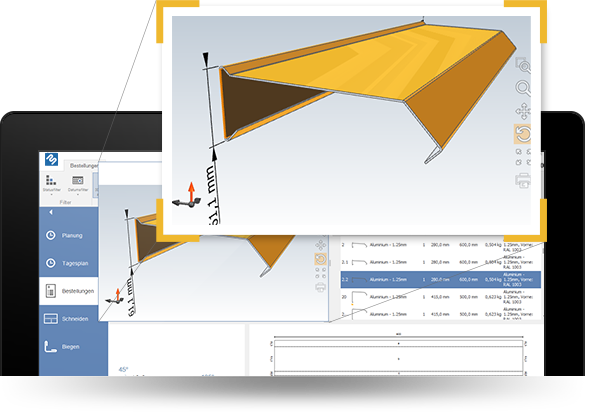 Production data for punching and laser cutting machines are transferred as CAD data whilst profile geometries can be exported for use in bending machines. Cutting patterns for slitting and cut-to-length can be transferred automatically. Automation even goes one step further for bending machines manufactured by RAS Reinhardt Maschinenbau GmbH. Bending programs for the new generation of RAS machines are calculated automatically and all the machine operator has to do is start the job! Using the Met-IQ web service, which is included with the package, linking up Met-IQ with almost all existing software systems is child’s play! This way, data can be written to and read in other systems. Communication is fully encrypted and state of the art. 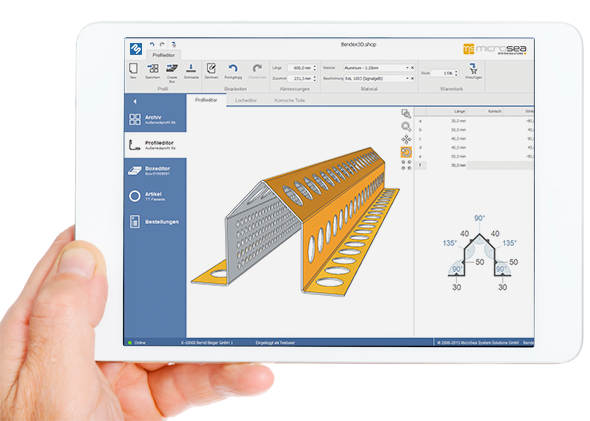 Met-IQ integrates smoothly into existing structures, thus keeping introduction periods short!